The Vancouver Playhouse, at 668 seats, is the city’s prime venue for dance, chamber music, film events, and theatre. An intimate performance venue, the Playhouse is the only proscenium theatre of its size in Vancouver. Originally called the Queen Elizabeth Playhouse, the Vancouver Playhouse was built in 1960 and completed in June 1961 with official opening ceremonies in February 1962. 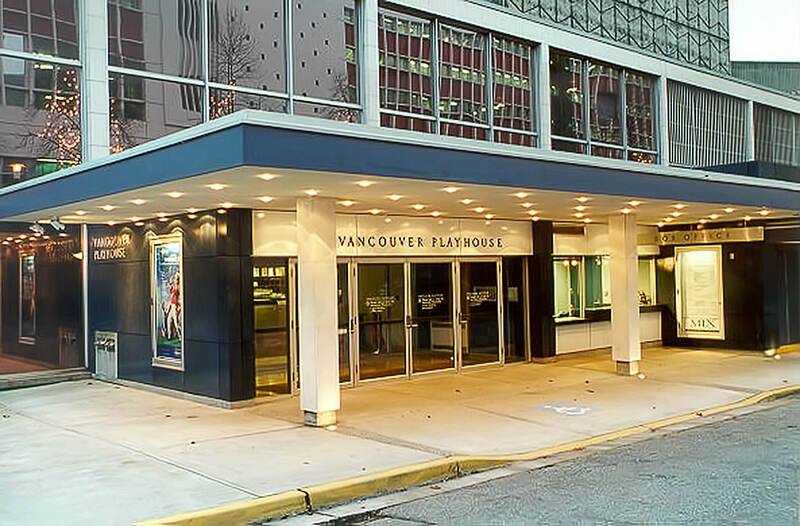 The Vancouver Playhouse was home to The Playhouse Theatre Company from 1962 until 2012. The Playhouse Theatre Company was Vancouver’s premier regional non-profit theatre company which presented classic and contemporary theatrical productions every season. 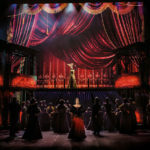 Since its opening, the Vancouver Playhouse has hosted a number of Vancouver-based organizations on a regular basis, including the Friends of Chamber Music, Vancouver Women’s Music Club, Women’s Canadian Club, and the Festival Concert Society. 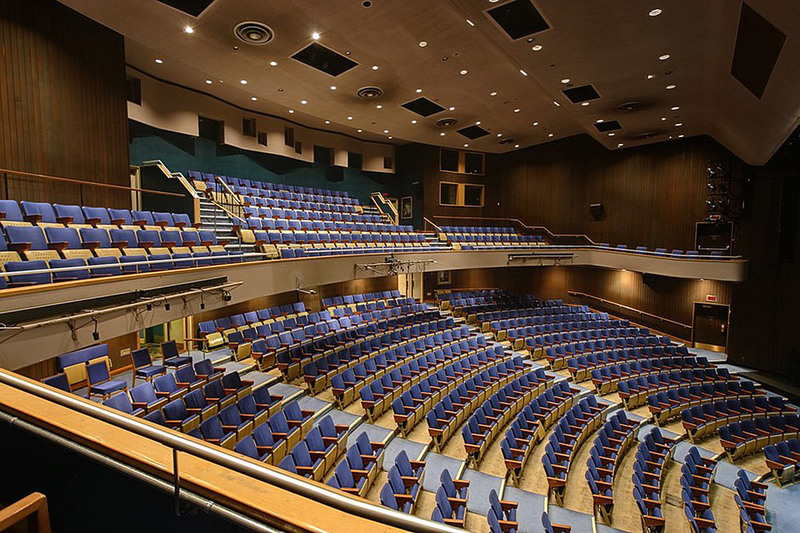 The architecture of the Playhouse is similar to that of the Queen Elizabeth Theatre (QET). The aluminum curtain wall, buff brick side wall, interior finishes, signage, and details compliment QET’s style. Alterations of the QET and Playhouse in 1985 and 1986 changed the original character of the two lobbies. The original clean, understated design was replaced by reflective surfaces, broader columns and more textured finish. The most recently completed renovations restored the feel of the original 1962 lobby with contemporary colours and patterns.